I like to freeze containers of it, and, though nobody would probably recommend it, I have eaten basil pesto up to one whole year later after freezing it…with no ill effects. Not to mention how great it tastes. For the freezer, you will need to out a thin layer of olive oil on top to prevent the pesto from oxidizing (turning brown and icky), as a kind of preservative. This pesto is rich and full-flavoured, with its strong basil notes holding their own with the powerhouses of garlic and Parmesan. The consistency has a bit of texture, with discernible elements of cheese, herb, and garlic, which make for a satisfying base for pizza, crostini, or sauce for your favourite pasta . Overall, It is a total umami experience at its finest. 1.Toast the nuts in a small, heavy skillet over medium heat, stirring frequently, until just golden and fragrant, 4 to 5 minutes – watch closely, as they can burn quickly. Transfer the nuts to a plate. 2. Add the garlic to the empty skillet. Toast, shaking the pan occasionally, until fragrant and the’ color of the cloves deepens slightly, about 7 minutes. 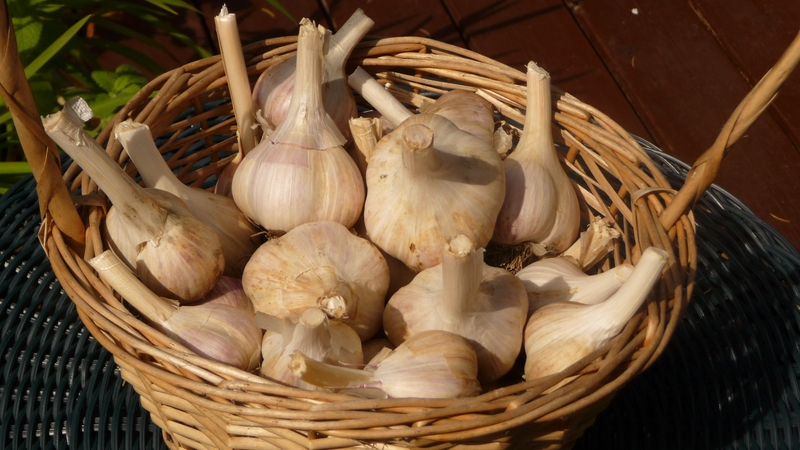 Let the garlic cool, then peel and chop. 3. 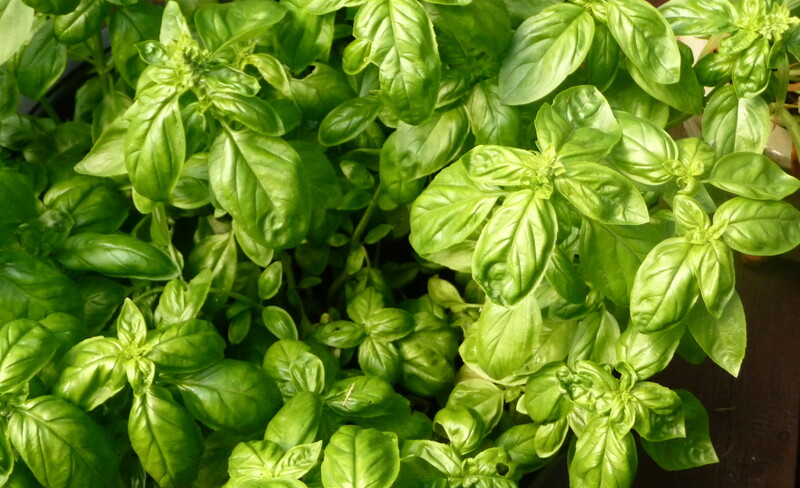 Combine the basil and parsley (if using) in a heavy-duty gallon-size zipper-lock plastic bag. Pound the bag with the flat side of a meat pounder, or rolling pin until all the leaves are bruised. VARIATIONS – ATK gives you even more options! Follow the recipe for Pasta with Classic Pesto, replacing the basil with an equal amount of mint leaves and omitting the parsley. An addition of ricotta cheese makes pesto mild and creamy. The pesto is fairly thick and clings nicely to ridges on fusilli and similar pasta. 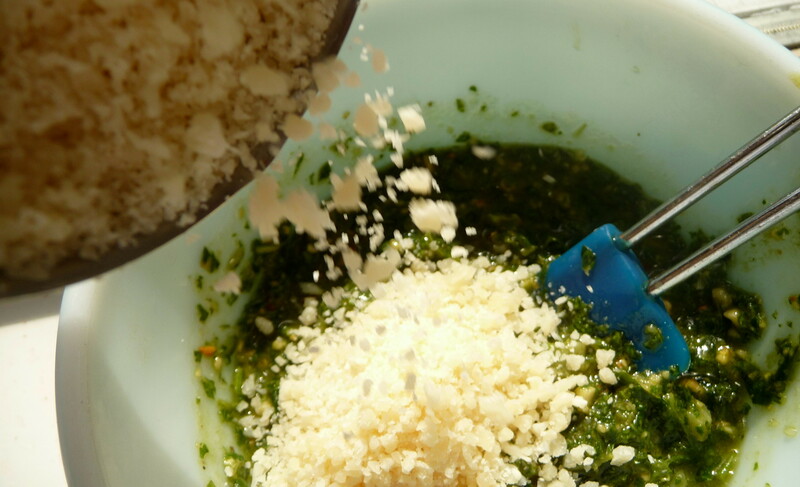 Follow the recipe for Classic Pesto, adding ¼ cup ricotta cheese at the same time as the Parmesan. Toss well to combine. Follow the recipe for Classic Pesto, replacing the basil with 1 cup packed fresh arugula leaves and increasing the parsley to 1 cup packed. reduce the Parmesan cheese to 2 tablespoons and add 1/4 cup ricotta cheese when adding the Parmesan. This entry was posted in Main courses, Pasta, Recipes Misc and tagged ATK, basil, classic, pesto, sauce. Bookmark the permalink. I guess we must be in sync i just posted a basil pesto recipe yesterday!! 🙂 Love pesto and can never get enough of it. Yes, Ewa, either we’re in sync or craving basil-related dishes, such as pesto! A couple of years ago I made some garlic scape pesto. I say ‘some’. There was enough to fill a giant jar that then lived in the fridge for about 6 months (as David may have told you, Momma Lee has a problem with throwing things out). It was really beautiful, but boy did it reek. I think we ate about 2 tbsps worth, but it was just too garlicky – lovely, but so strong. Even Brother, who eats raw garlic and adds onions/shallots/garlic to every meal, couldn’t handle it. It gave us a headache. So ended my experimental pesto stage. This recipe, however, I could be tempted to try out. It looks easy, basil pesto is, of course, not as strong as garlic scape, and it does look super duper yummalicious. 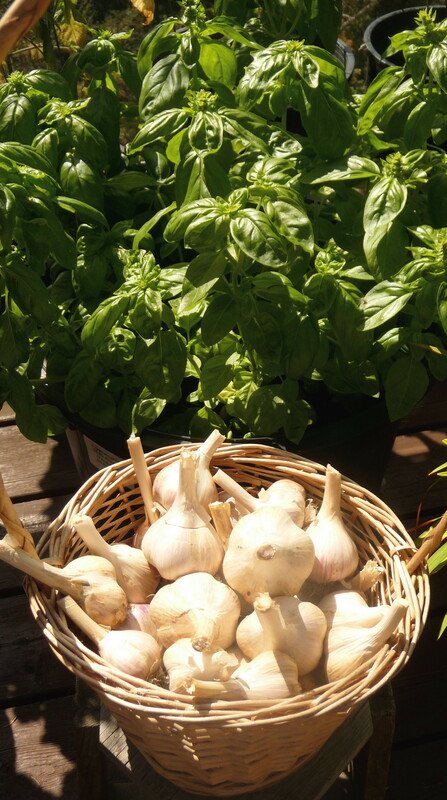 I love that photo of the basil and garlic together – such beautiful colours and textures! Gorgeous. Jax, funny, but I was just discussing garlic scape pesto yesterday with the man installing our windows. I’d thought it would be much more subtle, but I’ve learned the opposite is true. Thanks for the travel wishes and compliment on the photo. I’m trying to work on this aspect of my bloggin’ life! I’m en route now, so I’ll try to get out a few posts , with WWJD returning shortly. Thank you for your consistent commentary!! I’ve been obsessed with pesto recently, and this version looks amazing. There’s nothing better than having a tub of the stuff in your freezer! Have an excellent time in Maine, too…this is such a wonderful time of year to visit. Hi, Maddie. Our deer seem to like many things they’re not supposed to (basil is another one they should eschew theoretically). I hope you enjoy Croatia – a bit more exotic than Maine, in my book! I can’t wait to hear your impressions. Look at all of that beautiful basil! Your pesto looks great…I especially love the last photo with the cheese falling into the pesto. Well done! Thanks so very much, Kath. I think being caught in a downpour of Reggiano would be a welcome event! My husband offered to “trim” my basil plant. I now have about 6 cups of basil needing a pesto sauce. Thanks for the recipe. Will try it tonight. Thanks, Geni. I’ll be curious to learn what you think of this version. Mmm there’s nothing like fresh pesto. The store bought stuff pales in comparison. This looks vibrant and delicious! Thanks for stopping by, LC. I appreciate your comment. Hi, FD. Thanks for visiting again. 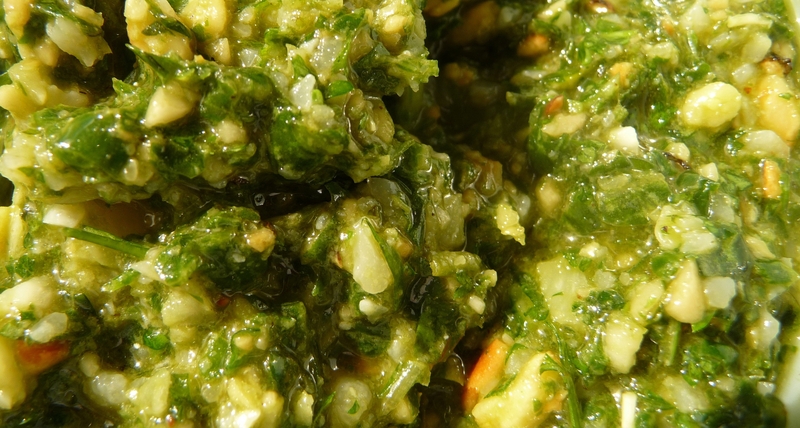 Home-made pesto is easy, far less expensive, and better than anything you can buy. I don’t want to encourage deer by giving them pesto samples and turning them onto Italian cuisine. They already eat enough of the plants around here…. I have tried many times to grow my own pot of basil. The birds end up chewing them up though.